The training and consultation at PudelsKern are characterized by a variety of methods, individually tailored to each team of people and dogs, and a professionally competent advice, especially in dealing with difficult dogs. The training is always everyday oriented. An open, respectful approach to all human and dog personalities is a matter of course. Due to the extensive training and experience of Verena Helfrich you will always receive a professional offer. In addition to behavioral counseling and individual one-to-one training, you will find various intensive groups on different educational topics as well as the appropriate utilization of their dog. And even before you decide for a dog with whom you want to share your life, you can take a consultation at PudelsKern. 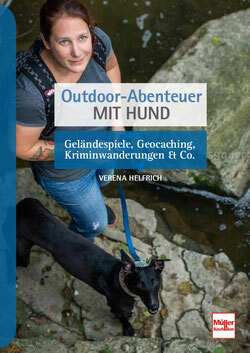 Evening lectures, seminars and workshops with Verena Helfrich and external speakers complete the offer in the field of dog training. We hope you enjoy discovering our offer and look forward to meeting you or seeing you again!